This Is It! 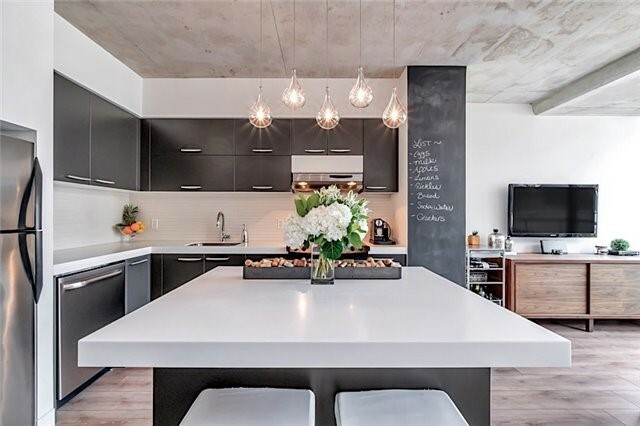 Live Your Best Life In The Heart Of King West At The Private Residences Of The Chic Thompson Hotel! Showcasing New Wide-Planked Engineered Floors, Custom Kitchen Island & Breakfast Bar, Custom Glass Shower, And A Custom California Closet. Enjoy Elite Amenities As 24Hr Concierge Service, Housekeeping, Room Service, Gym, Steam Room, Golf Green, 3 In-Building Restaurants, And The Exclusive Rooftop Pool And Bar.